Lompoc police officers arrested a 35-year-old woman for allegedly murdering a 56-year-old man on Sunday. Shortly before 9 a.m.,Darlene Ybarra allegedly stabbed Eric William Larsson at a residence on the 400 block of South J Street. Larrson died of his injuries. Detectives later identified Darlene Ybarra as a suspect in the murder. On Tuesday evening, police found Ybarra at the home where the stabbing occurred. During an interview with police, Ybarra made incriminating statements, police said. 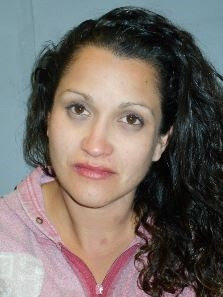 Officers then arrested Ybarra and booked her into the Lompoc City Jail with her bail set at $2 million. Larrson was renting a room at the South J Street home. Larrson’s murder was the second homicide in Lompoc this month. On March 4, a stray bullet fired during a gang-related drive-by shooting struck and killed a 17-year-old babysitter. Police have not announced any arrests over the teen’s killing.